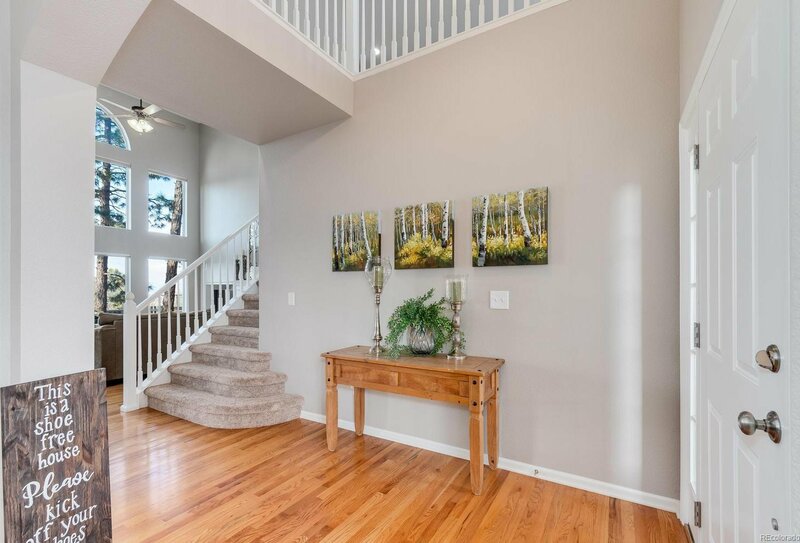 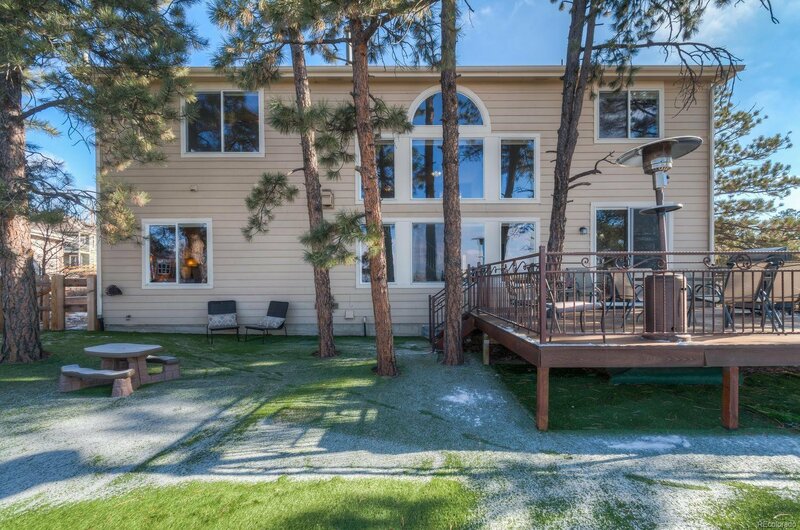 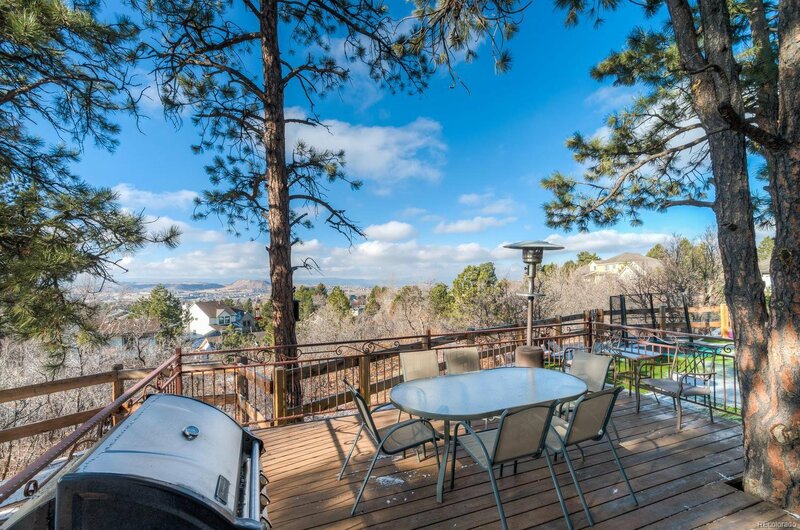 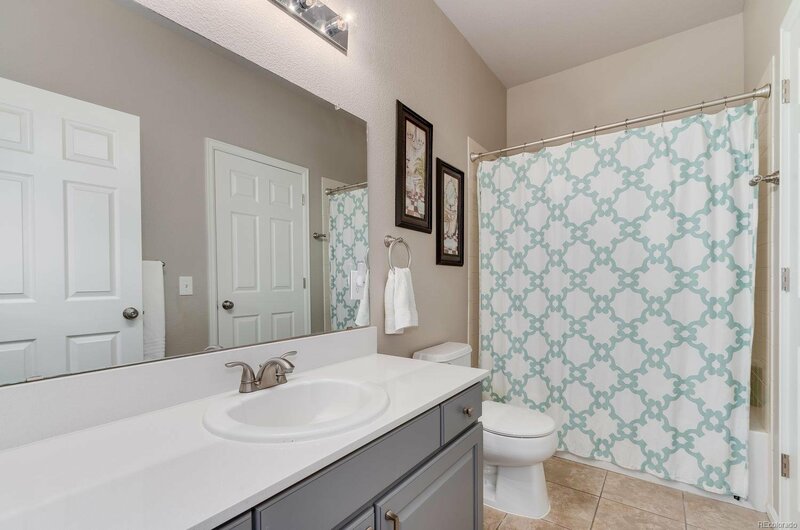 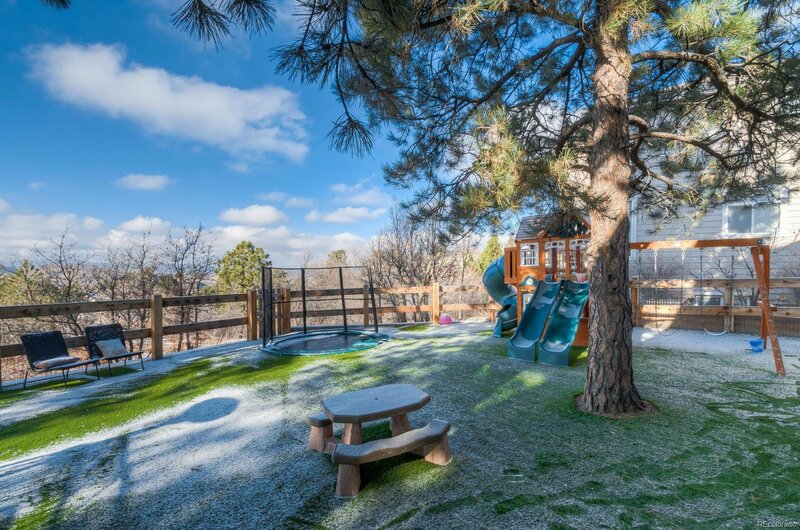 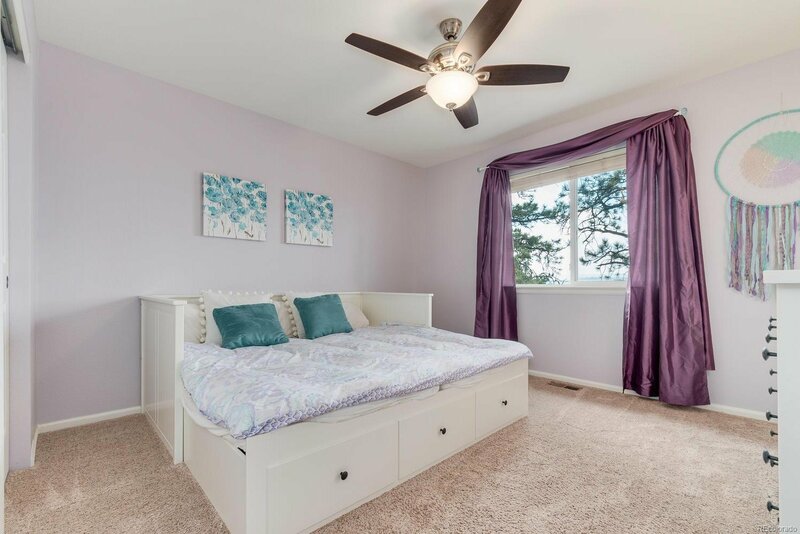 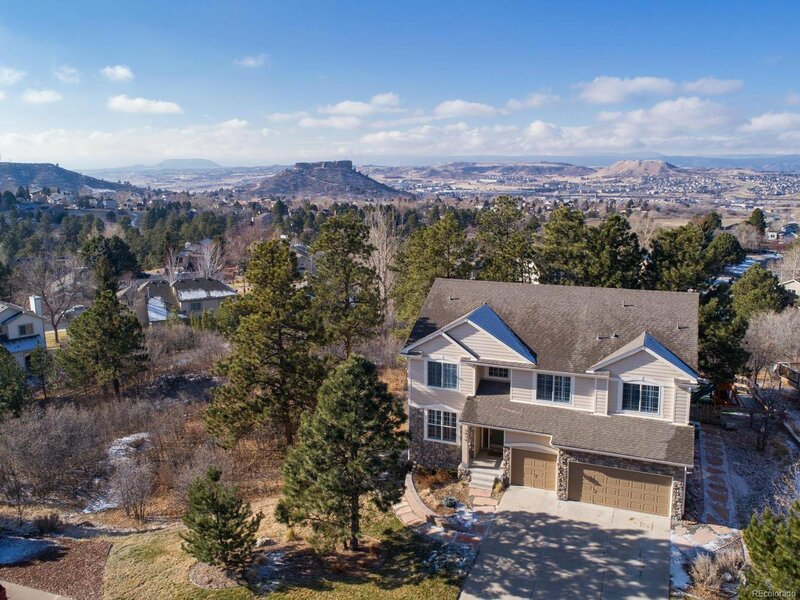 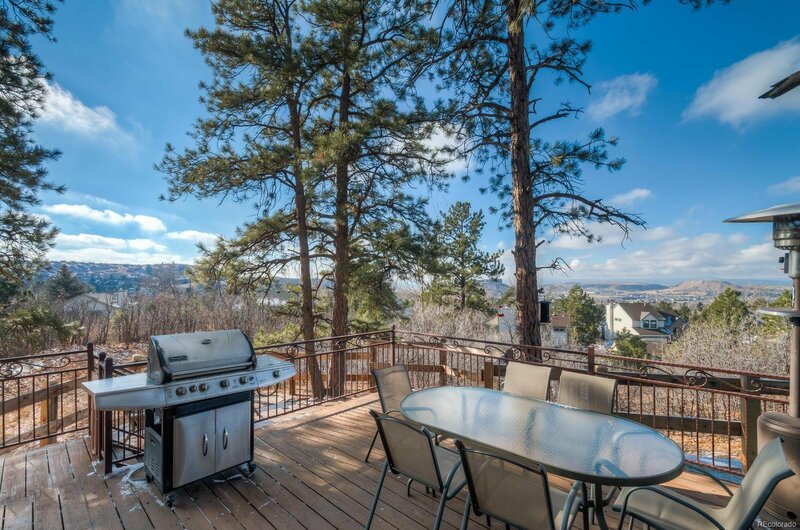 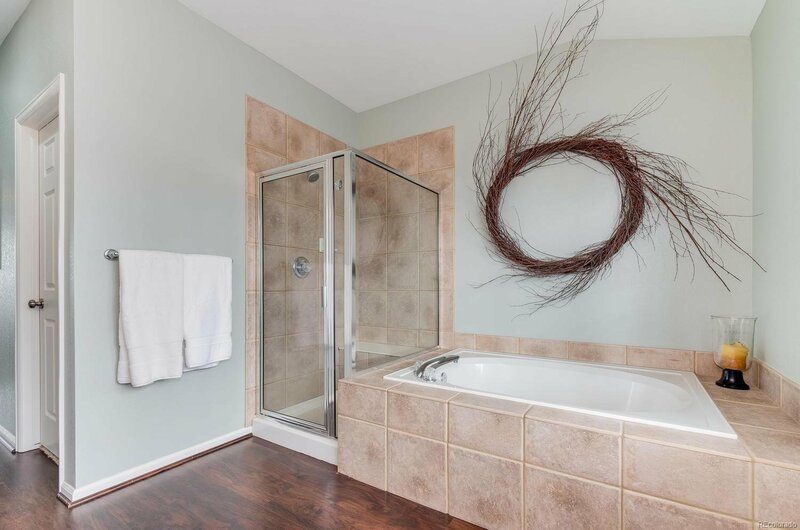 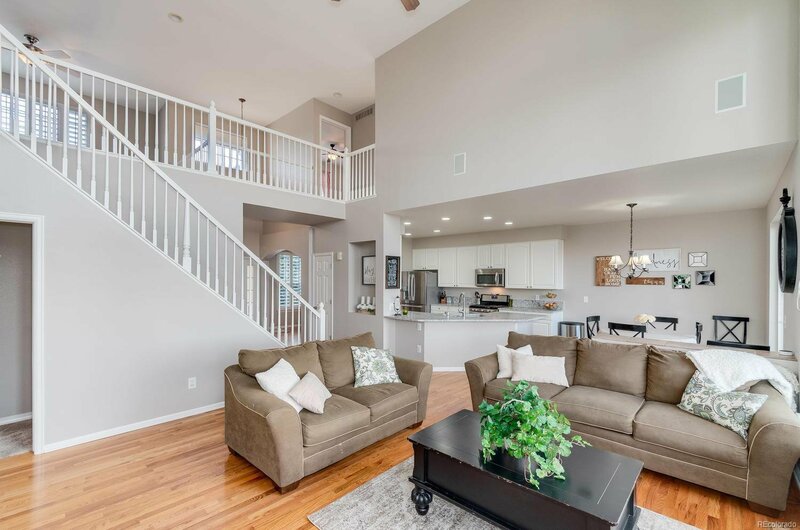 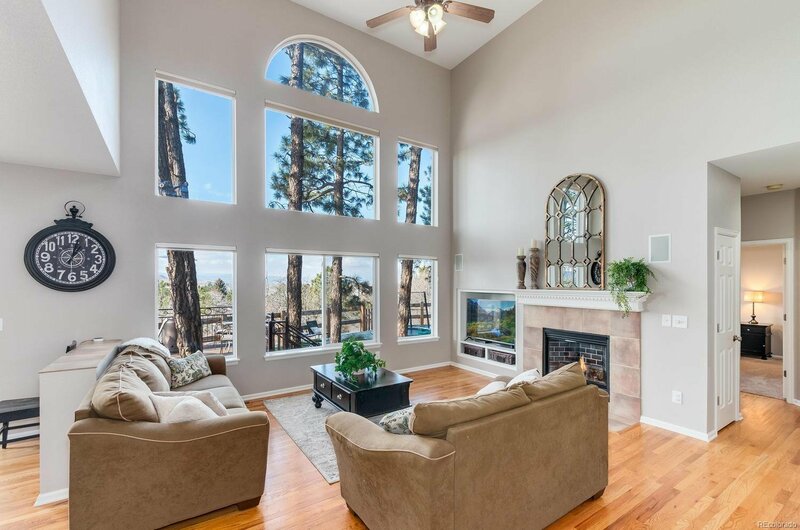 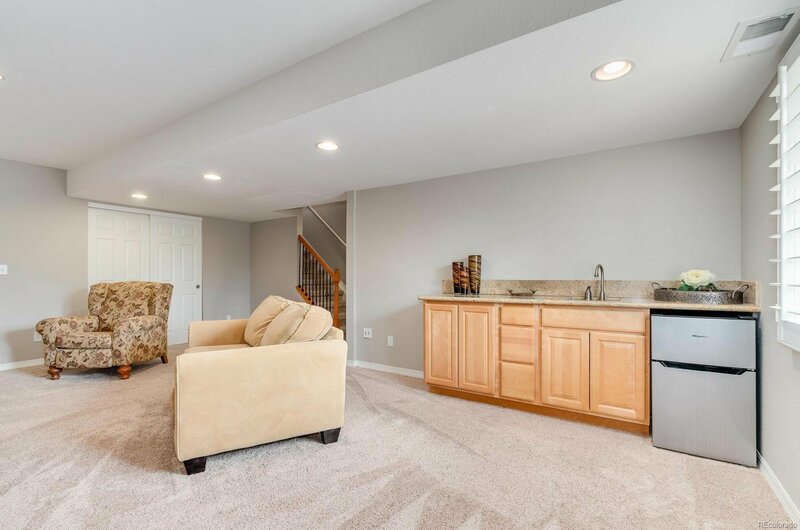 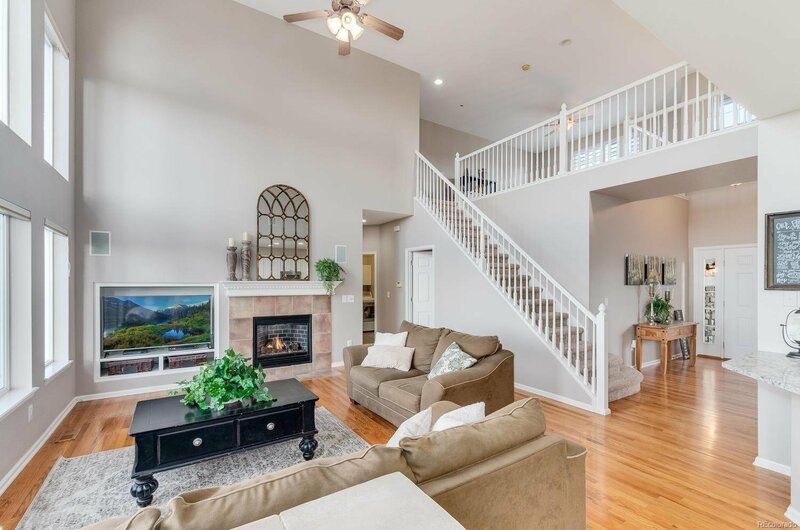 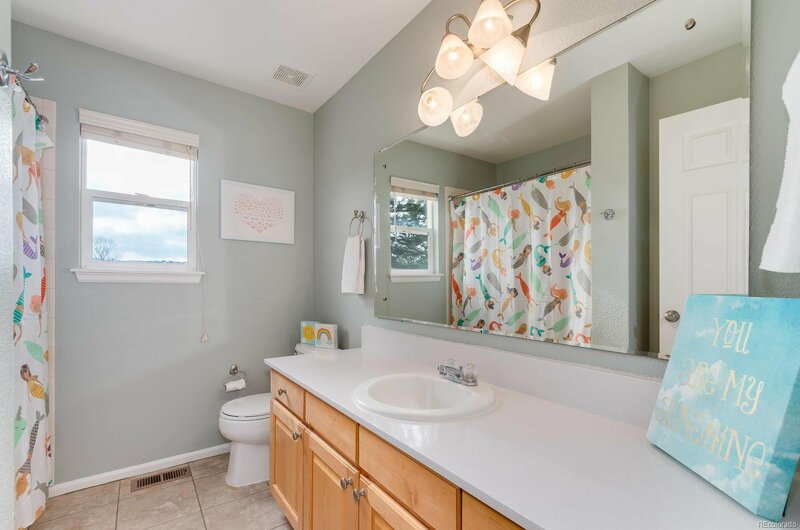 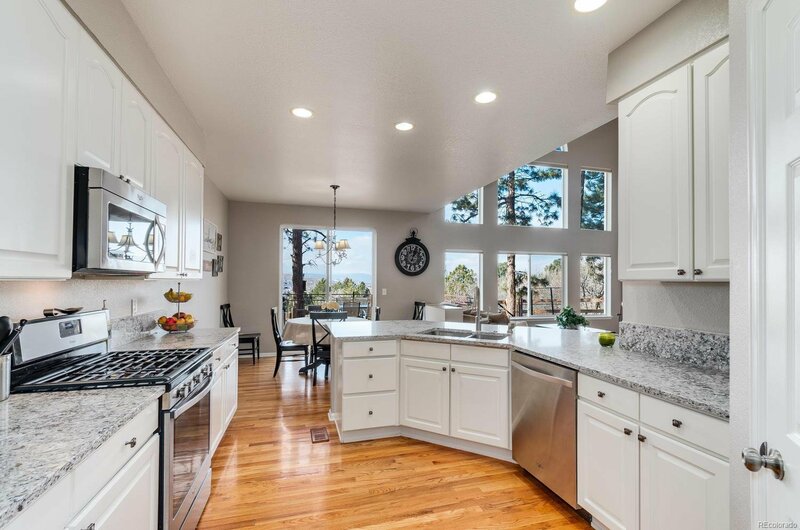 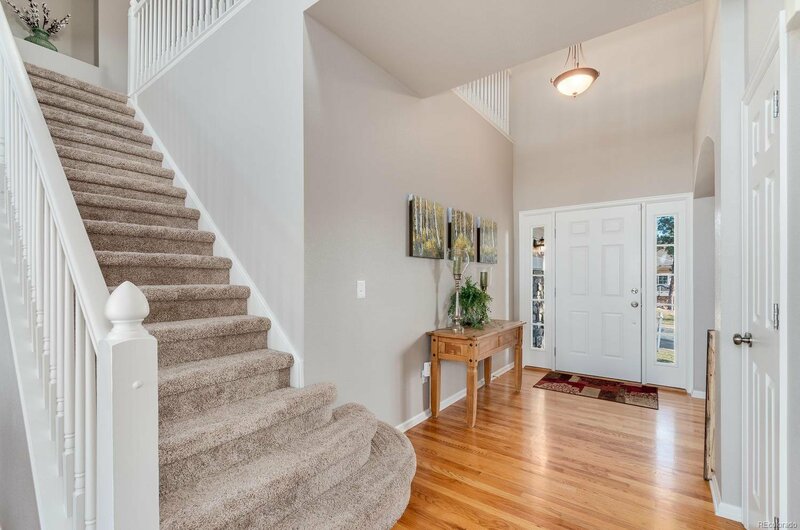 Fall in love with this wonderful Woodlands home in the heart of Castle Rock! 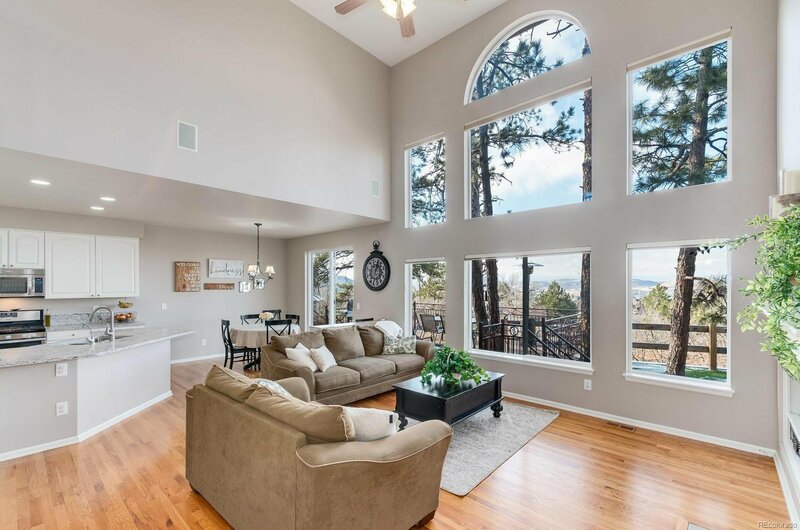 Gorgeous mountain views (including "THE ROCK") and wonderful flow and functionality. 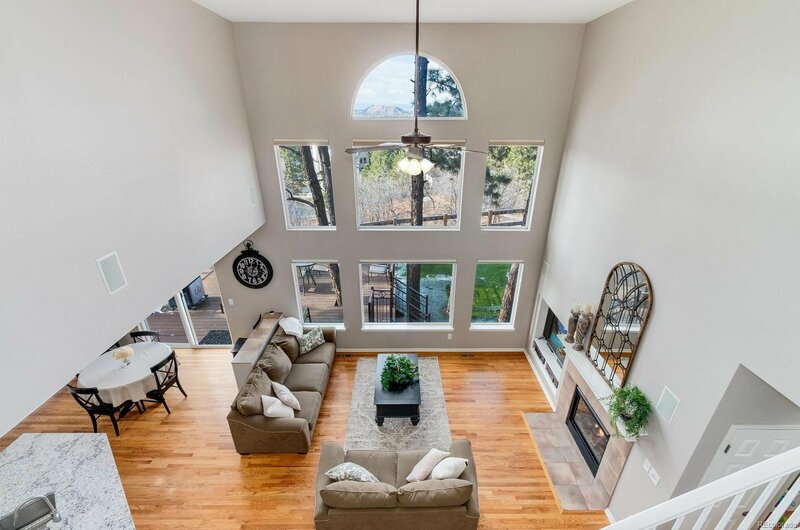 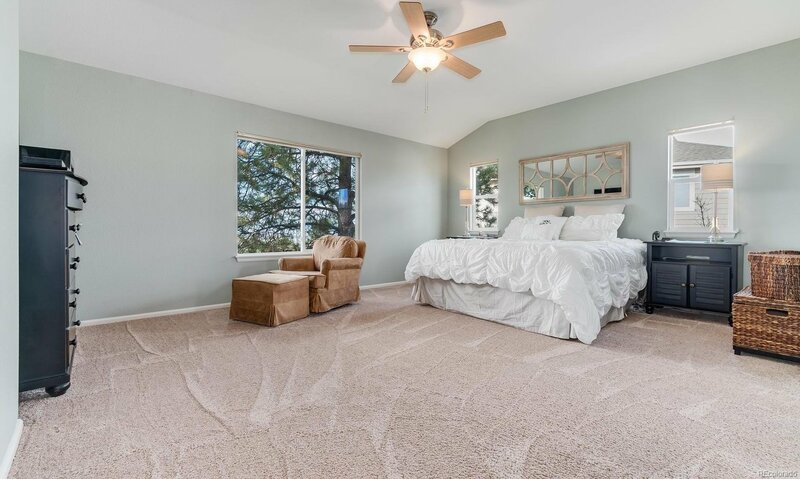 Beautiful solid oak floors lead to a great room with a gas fireplace and floor to ceiling windows backing to open space and surrounded by huge ponderosa pines and scrub oak.! 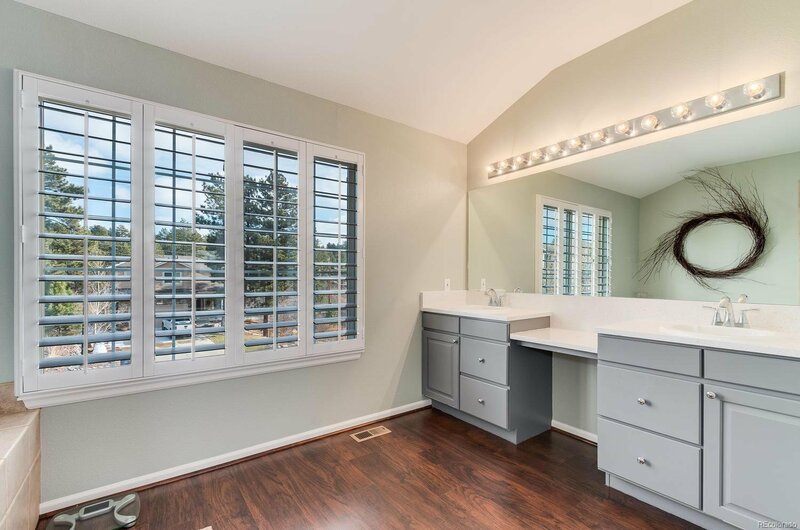 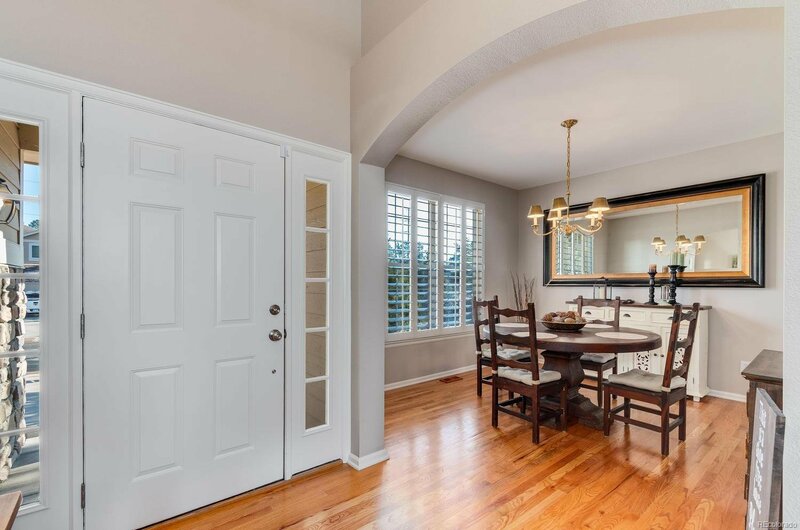 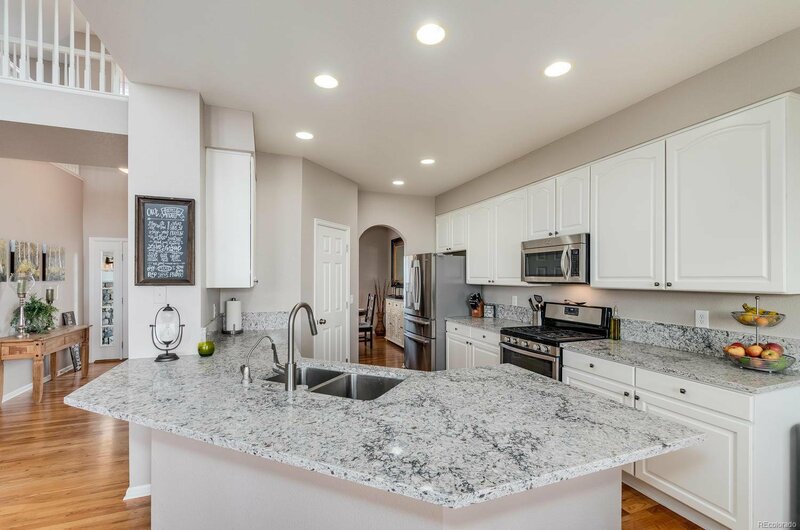 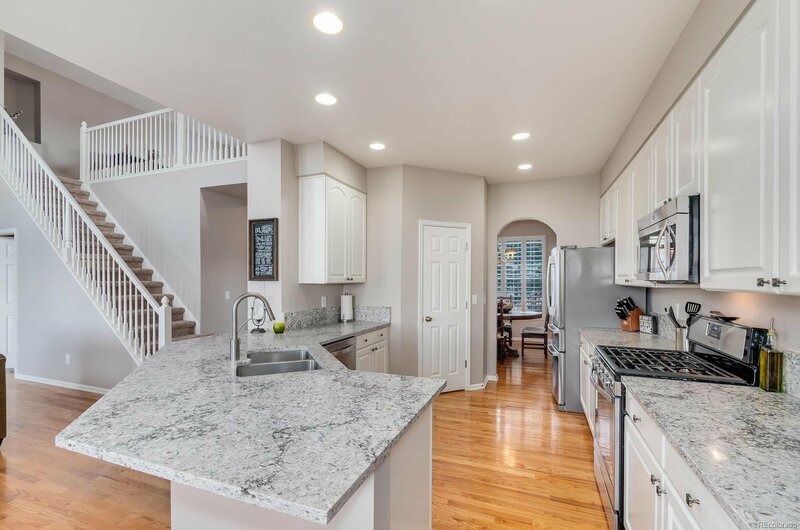 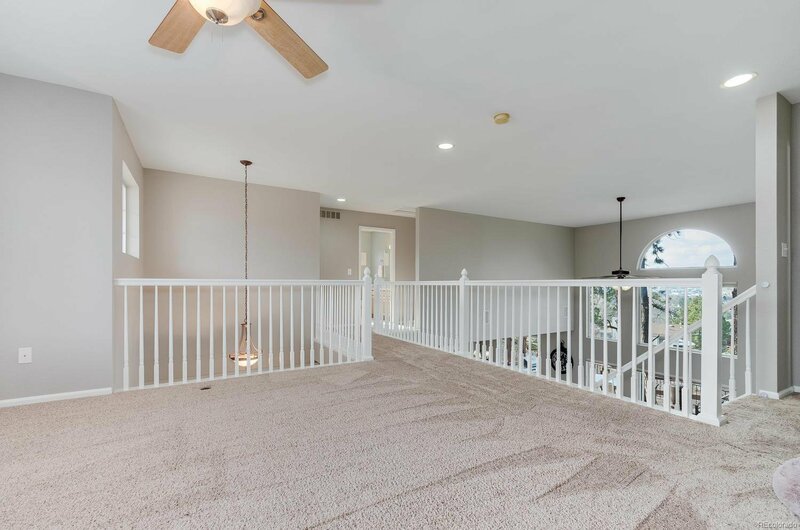 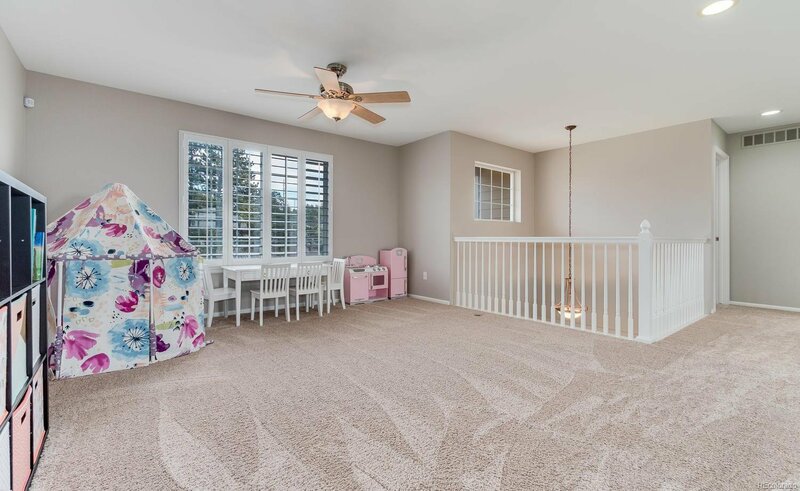 The great room is open to the Dinette and Kitchen with Gorgeous quartz countertops and stainless appliances (pantry), Formal dining with plantation shutters. 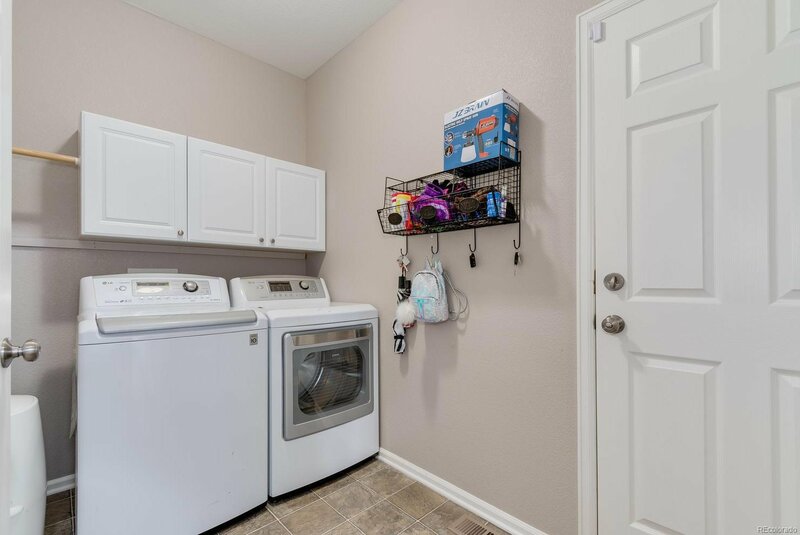 Main floor bedroom with full Jack-n-Jill bath as well as main floor laundry allows for options. 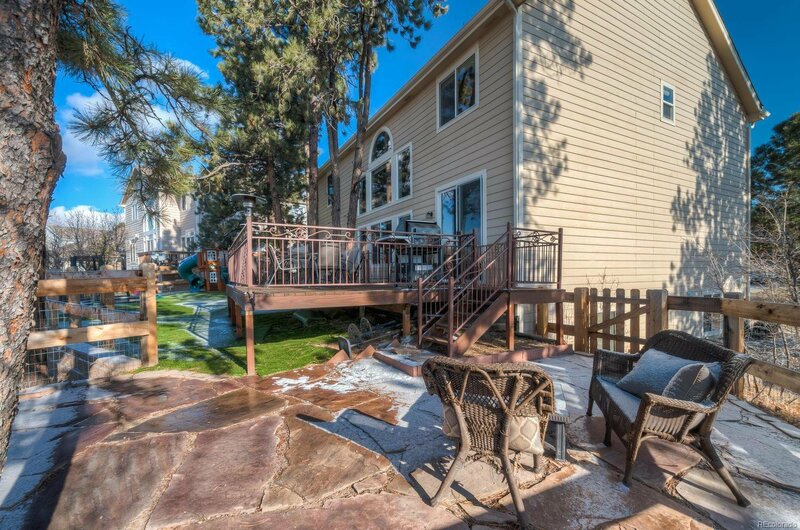 The backyard had a complete "face-lift" this past summer. 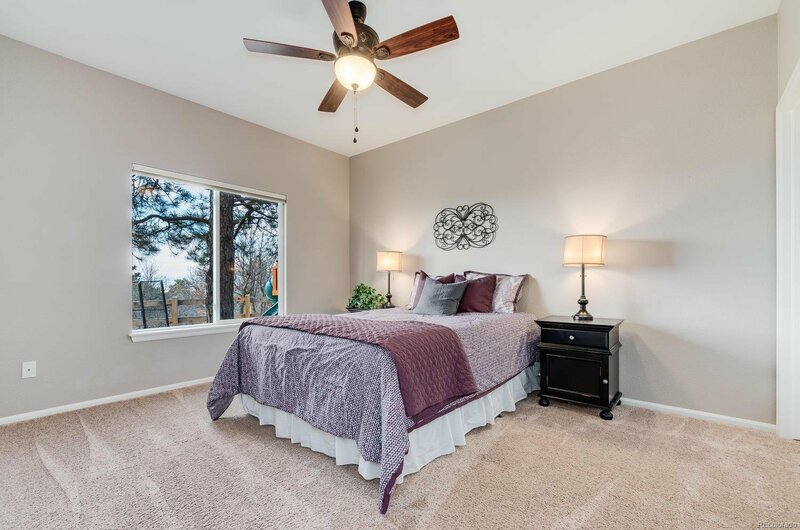 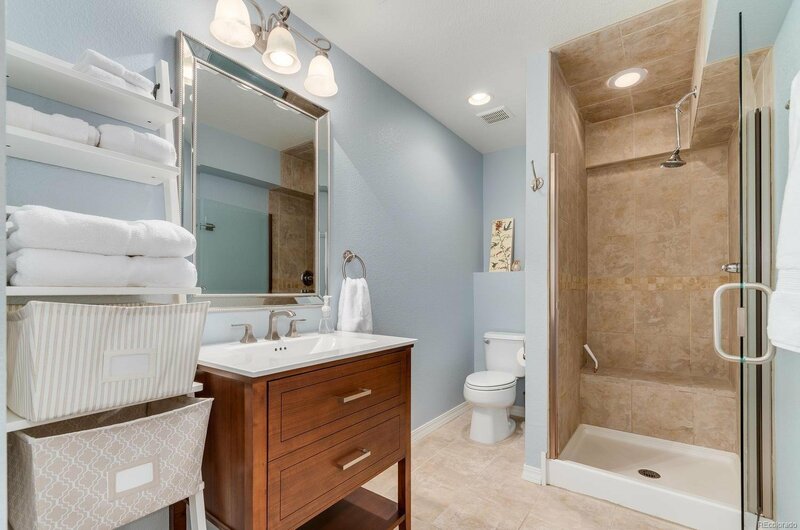 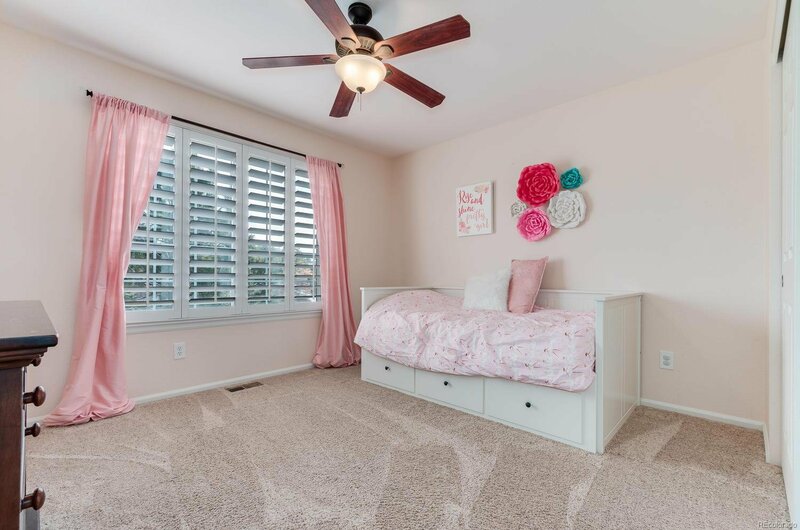 Upstairs you will find a beautiful master bedroom with 5-piece en-suite with quartz countertops and walk-in closet. 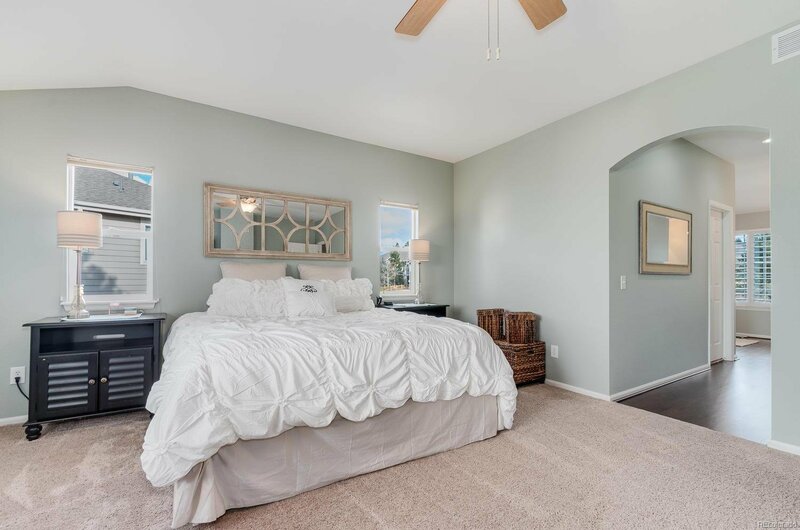 Secondary bedrooms are large and share a full bath and a loft for additional living space. 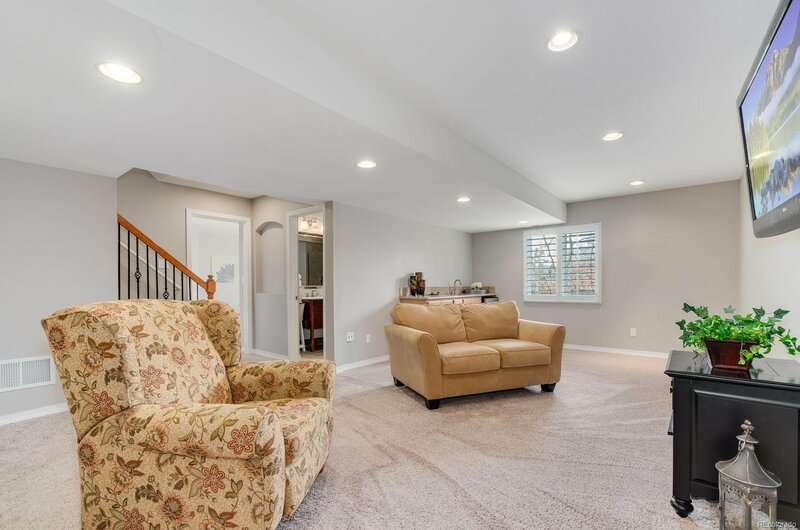 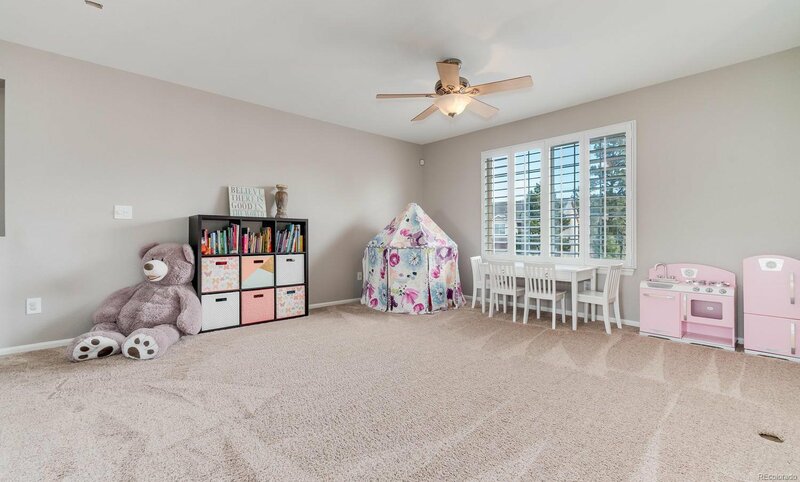 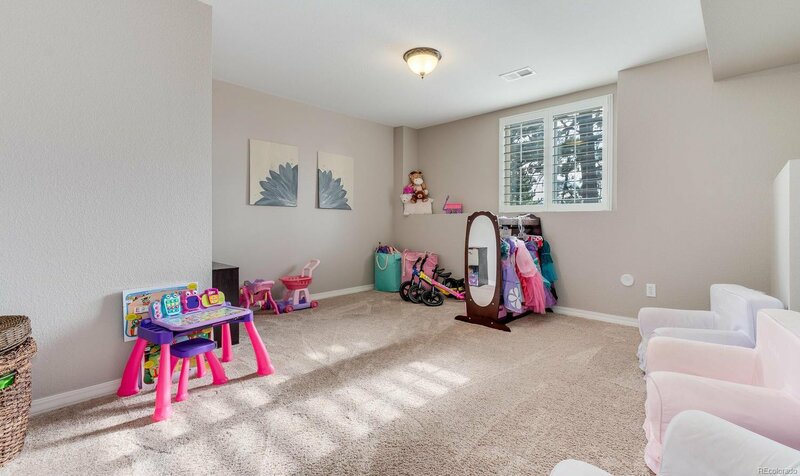 The basement boasts a family room with kitchenette, enormous bedroom and 3/4 bath. 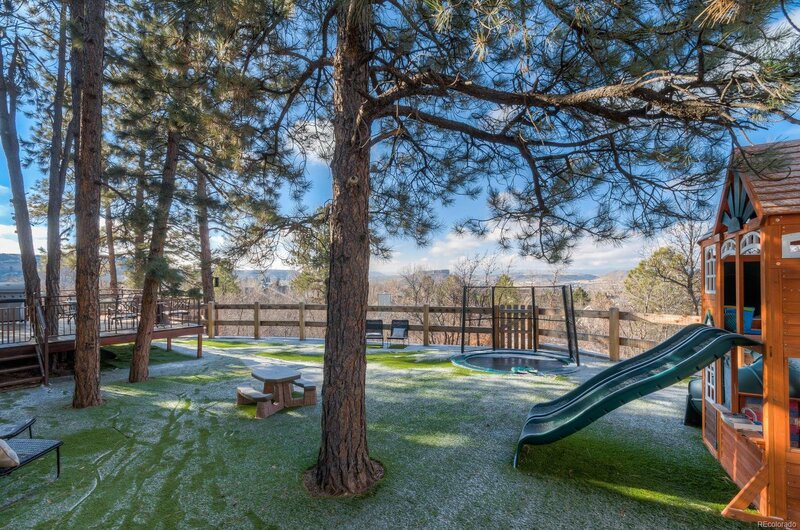 Wonderful deck, Artificial turf, and inground trampoline.